$5 General Admission Tickets available at Security Federal Bank locations. Follow your imagination down the rabbit hole to Columbia County Amphitheater for a Tea Party unlike any other. Meet and Mingle with Fairy tale Princesses and other Storybook Characters. Take home photos from each interaction. Watch and listen to performances throughout the event. 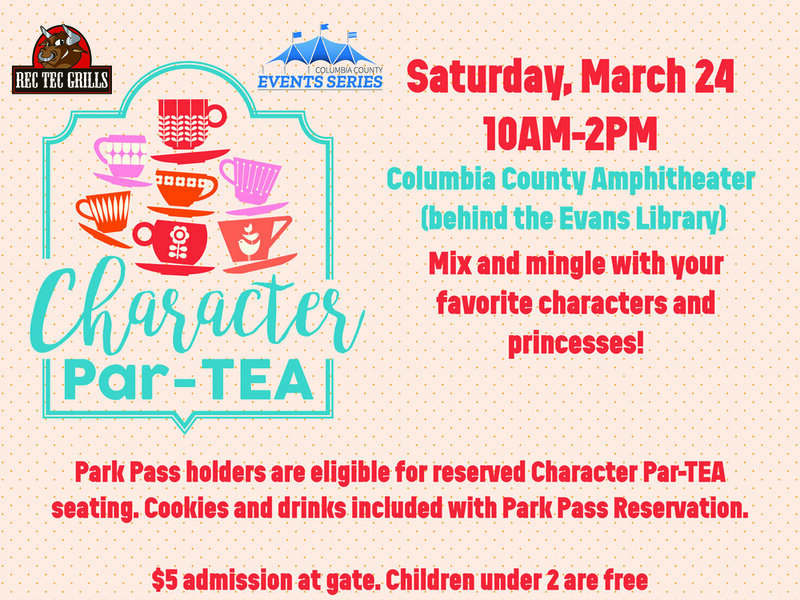 Get your Park Pass now and RSVP for reserved seating and tea party service!